Chap Goh Meh (literally means the fifteenth night) marks the end of the Lunar New Year Celebration and is also known as the Chinese Valentines Day. Since both Chinese New Year and Valentines Day fell on the same day (14th Feb), some may not have celebrated it, so Chap Goh Meh, which is on 28th Feb this year, is the same but, actually, not entirely the same. See, on the normal VDay, usually 2 person ( a couple ) celebrate together; and singles will sulk at home lol.. But during the Chinese VDay, alot of people celebrate together, and families would also have a reunion dinner. 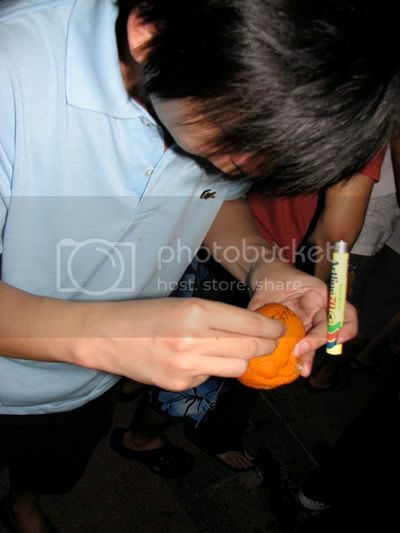 Even for the singles, there’s a tradition where they gather and throw mandarin oranges into the sea in hopes that their future spouse will pick it up. This tradition is said to be originated from Penang, is it true ? 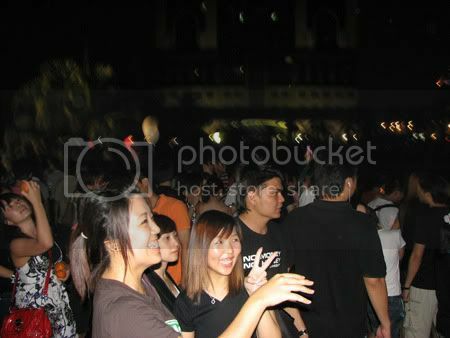 Well anyway, to join the fun we googled and found out a couple few places to go during Chap Goh Meh. 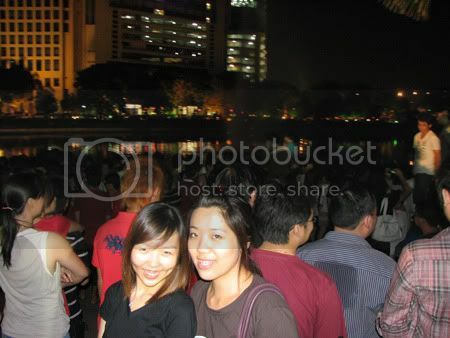 Tasik Taman Jaya in Petaling Jaya was one of them. 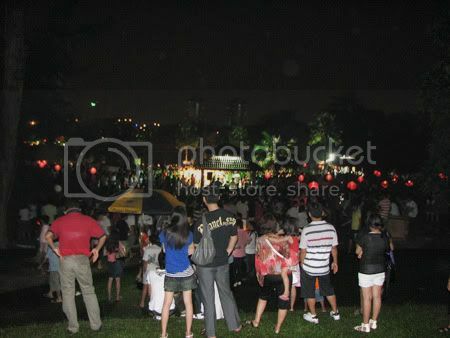 It was actually our first time celebrating it so we weren’t quite sure what to expect..
Yeah, look at the amount of people.. This was from afar so I assumed there were more people further..
We arrived at 10pm ish and we see alot of people walking out so we though maybe there wouldn’t be so much people but boy oh boy, there are also alot of people walking into the park as well!! I’m guessing its a homemade lantern as it’s a little smaller than the ones I see elsewhere (Eh wait, is it illegal or not??) 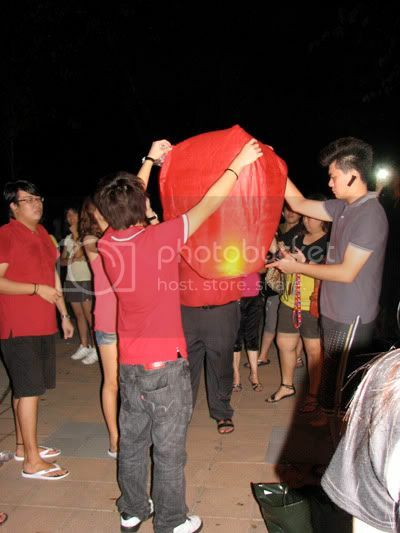 These lanterns works like hot air balloon..
At first it dropped on the floor but actually u’re suppose to put it on the floor so the air wouldn’t escape from the bottom. Right ? Ah but alas after sufficient hot air in the lantern, it flew up itself and everyone there cheered! Oh so happy..
Well it’s pretty much an interesting place to be for Chap Goh Meh. 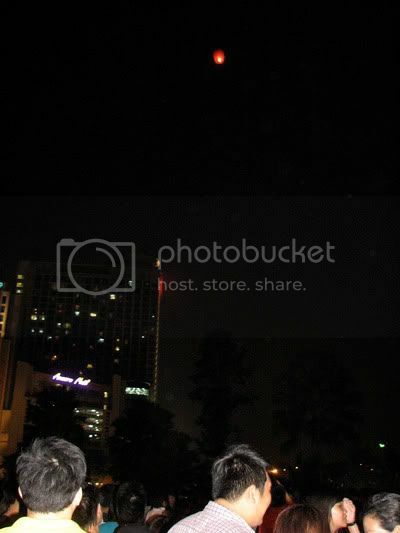 It looked like other celebrations (such as Christmas eve or new years eve) and just beware there are ALOT of people!! Cute post! Such fun it is to do something different, eh? 🙂 Glad you all had an enjoyable night out! Yeah it's probably something different to do.. Are there such thing over in Singapore ? 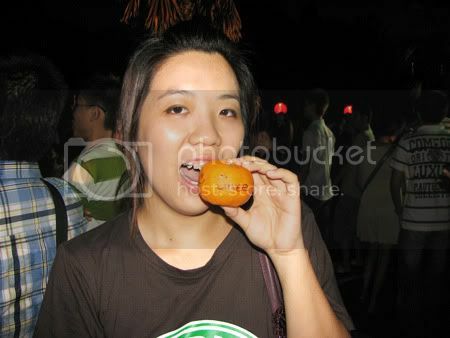 Look like you were enjoyed on CGM day, so did you manage to find a " Lu Yi Long Guan"? hahaha..
LOL! So you did go for tossing tangerines! Found your Mr. Right? Hahaha …! So sporting of you to participate too! I was there at this same lake once, like more than 10 yrs ago but was too shy to participate. Haha. @Sonia & Pei-Lin : Not yet !!! !